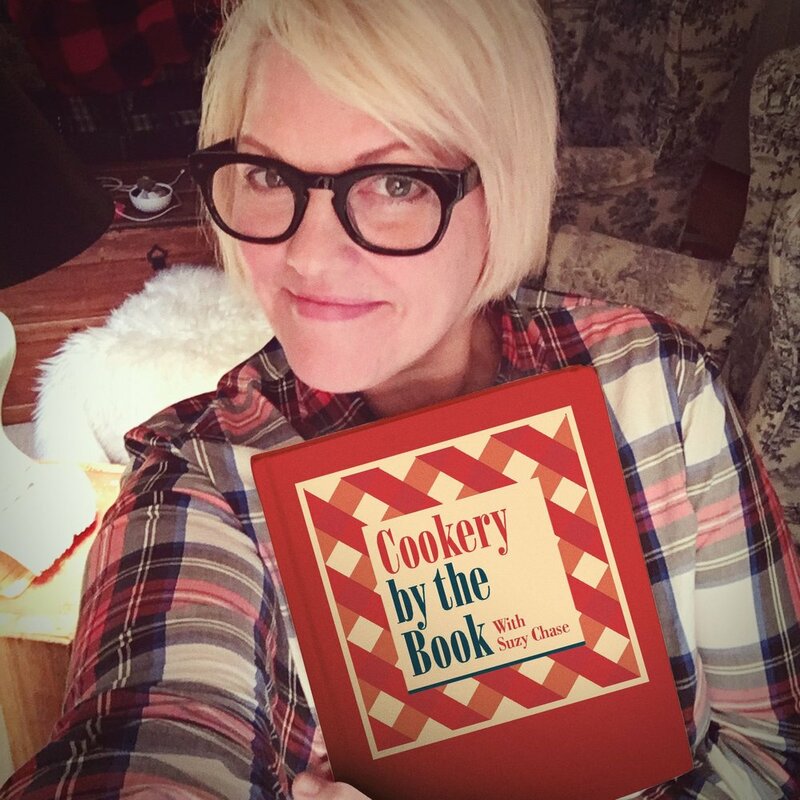 Suzy: Welcome to the Cookery by the Book podcast with me, Suzy Chase. Sara: My name is Sara Dickerman and my new book is the Bon Appetit Food Lover's Cleanse. Suzy: The Bon Appetit Food Lover's Cleanse puts the emphasis on food, eating real food, not juicing, brothing or detoxing. Can you talk a little bit about the concept of the cleanse? Sara: It was a little bit of a response to all those cleanses that were more radical, out there, where you might decide not to eat or just really severely limit your food. Instead, we really sought to say, "Hey I love food, how can we get this really delicious, intensely flavored food that sort of pushes us back into good habits." Whether that means a really steady breakfast pattern of hearty breakfast that will keep me comfortable until lunch or whether that means a little bit of a fresher, less starchy, fatty dinner. Just little patterns that can be helpful and can actually carry forward after you're done with the more formal part of the plan. Suzy: How has the cleanse evolved in six years? Sara: Well, it started out pretty scrappy, I have to admit. Originally, it was curated recipes. I had been approached by an editor who asked me whether I might like to put together a healthy eating plan for BonAppetit.com. And originally I thought, you just go through your favorite cookbook and sure enough you'll find some healthy recipes in there that taste great and don't involve using silly substitutes like turkey bacon or egg white omelets and stuff like that. But if you can kind of call those together you'll have a really nice plan for eating. The first year we tried that but then as we kept on moving forward, we realized we needed something a little more practical that had a little continuity from day to day because if you're eating, you should really try to prepare every meal in a healthy way, then you need a little carryover from one day to the next to help you just practically solve it. Otherwise, you're just mired in work. So we did things like, for lunches, we tend to do a really lovely salad and we'll use a little bit of the protein from the dinner the night before and re-frame that in an interesting and delicious way. Whether that's a piece of salmon or whether that's some roasted tofu or whether that's just the roasted vegetables from the night before. They work their way into the next days lunch in a fun way. So that's one way we've streamlined along the way and tried to make it more doable in terms of kitchen work. And just simplified a little bit, we like to have recipes that are pretty clean cut but with an interesting twist that kind of pulls you forward whether that's a bold seasoning. On an online cleanse, I've used gochujang which is the Korean spicy miso or in the book we use a wonderful pequin pepper romesco sauce that's just big and bold. Those flavors, or even just simple herbs and citrus, those flavors pull you in and really make you feel like you're having fun as you are re-booting your habits a bit. Suzy: You just spoke about lunch recipes and I noticed you left out the lunch recipes. So how do we deal with lunches? Sara: So we did, that was the one, we have recipes for the other meals and we did leave lunches a little bit open partially because people are often at work and maybe you're dealing with a lunch cafeteria situation where you have a salad bar and we wanted people to have the framework of what they should be including in their lunch. But have a little bit of flexibility so that if you're having to deal with lunch away from home that you can couple it together. We do however have a lunch suggestion based on the leftovers from the night before. If you look through the menus, there is a suggestion right down to a vinaigrette to put together a nice lunch. So there's a suggestion but it's not a formal recipe. We just think it's a great time for improvisation but within a framework that involves a nice amount of leafy greens, a bit of protein, which might be from last nights dinner, and then something really fun and textural whether that's nuts or a little bit of avocado or a crunchy apple. Just something to give you something exciting and lovely to eat and then a great vinaigrette. If you have a great vinaigrette on hand, I find it's always easier to make a salad. Suzy: Let's start with the basic rules. What do we need to know about cleansing? Sara: I like to call my cleanse, radical moderation. Partially because of course, I'm writing with Bon Appetit and we at Bon Appetit just love food and think all food can be good in the right context, it's just the question of sort of balancing things out. So when we approached the cleanse, we wanted to get rid of the things that we know we could use less of. So that means fewer refined flours, fewer refined sugars and processed meats. In general, we think that home cooking is the way to really be able to prepare the healthiest food for yourself. That means cutting out processed foods where you don't know how much salt or fat there is an item. And instead, we try to cook it at home and cook with whole foods when we can. Now we have other ideas though, one is that if we're going to have healthy food we also need to make sure it really tastes good so that you're not feeling like it's drudgery. Sara: For me it was very important to include chilies and spices and herbs and citrus flavors. Things that just make you feel like you're enjoying food. It's things you can serve to friends and not feel embarrassed about eating. That was important to me, we wanted to try to up the amount of vegetables and fresh produce that you're eating so we suggest that you try to have half your plate covered with vegetables when you eat. We also do ask you to limit alcohol consumption. So many people in January are already doing that, but at the same time, we're not completest. If you're at a friend's birthday party and you want to toast their birthday, don't worry. We say up to four drinks per week. And then we even have a lovely, sort of low alcohol cocktail that our registered dietician came up with called the Rubies and Thorns and it's just a lovely, bright red from blood orange drink with bubbles. Again, it feels festive and yet it's not a Manhattan. Suzy: What does prepping for the cleanse involve? Sara: Well, if you do the whole thing it is a fair amount of shopping. In the book, we've broken it down into two major shopping trips but you might even choose to break it down into maybe four for the two weeks. Get all the dry goods that you can get ahead of time and then produce, get a little closer to the meals you might be preparing. I think it's always really critical to do that extra measure of prepping before you start cooking and wash your greens, for example. If your greens are washed and ready to go, it makes cooking them or eating them in a salad so much easier. Having a lot of food containers around because you know you'll be using some of these left overs and making sure everything is ready. And getting rid of anything that's going to be terribly tempting to you. Whether that's a jar of Nutella or, I'm a terrible pretzel eater. I move the pretzels out of the cupboard and don't have them around for the two weeks of the cleanse. Suzy: I think it's brilliant that these recipes are grouped by seasons. So we can do this cleanse any time of the year, not just in the January. Sara: That's right. That was one of the real pleasures of making this a book rather than the online cleanse. The online cleanse is always in January and for me there's just so many times of year when you think, "Oh, well I just need to kick things in a healthier direction." So we do have a menu for each season. But I also think having them be seasonal menus and seasonal recipes allows people to, even if you're not doing a two week program you can look through and say "Oh, quinoa salad with broccoli and pistachios," I think that's our summer menu, "doesn't that look lovely." And it will inspire you throughout the year. Suzy: I saw that Adam Rapoport said, "You'll find yourself serving these dishes to friends and family, even when you're not technically on a cleanse." And I think it's so true. Sara: Right. You know, the word cleanse is a little uncomfortable. Sara: I really want to think about it as something that can stretch for the whole year. Suzy: What can we expect from doing the Food Lover's Cleanse? Sara: I think that cravings are a big issue, and I can really only speak from my experience, but I've done it now, this will be my sixth year coming up. I always lose a little bit of weight, but people are different and I can't promise that. But I really do find I do is I just feel steadier about eating. I don't feel like I have those four o'clock serious cravings where I kind of get into trouble with grazing in my kitchen. I find that I plan my snack and then I kind of feel steady through dinner. I find that I don't reach for desserts as strongly. Even the sugar and wine, I don't fell like I'm craving that as much. For me, that's really the major result but I think you'll also feel good energy, you'll feel like you have a cash of recipes ready to go. You'll find even more pleasure in things like vegetables and maybe you find that one breakfast that really makes you feel great every morning. Or maybe you'll find, "Oh, this is the practical way that I can get a salad in most days of the week." So you just slowly make changes. Suzy: For dinner last night, I made your kale sauteed with onions, leeks and tumeric on page 255. Sara: Oh great, isn't that, that's such a pretty picture in the cookbook. Suzy: I posted my picture on Instagram and it wasn't as pretty as yours but it's so good. I never thought about pairing kale with tumeric. Sara: Yeah, well I sort of fell in love with tumeric. I went to Bali a few years ago and it was served very frequently as a little tea. The fresh tumeric root usually with ginger and some lime and some honey and I just thought it tasted so good and it just made you feel fresh and healthy. And then I've been starting to see Hawaiian tumeric in my local natural foods market. And so I started playing with it and of course you can juice it but this book definitely doesn't get into things that require a lot of fancy equipment so there's no juicing in there. Sara: So I was trying to play with how to use it and I realized if I made these beautiful little ribbons of tumeric I could work it into braised greens, which I do all the time. Once a week I'll do some braised greens and adding that really vibrant, pungent, warm flavor of the tumeric. Suzy: For such a simple dish, it had a ton of flavor. Sara: You know I think that the kale tastes great anyway and I think the leeks add this wonderful sweetness and then we wanted that extra level of texture from the seed mixture. I think it works really well, you can kind of eat it as a main course or as a side course depending on what you have around. Suzy: And I saw on the serving side notes, this dish is four servings and one lunch the next day. Sara: Yes, so that idea that you could then mix it into another salad or serve it with tinned tuna. You could mix it with the tuna and it would be a great, really sustaining part of your lunch. Suzy: If you hate the words detox or reset, this cookbook is for you. I found it to be so easy to follow. With an emphasis on home cooking and whole foods. The Food Lover's Cleanse is the perfect holiday gift. Where can we find you on the web? Sara: My website is saradickerman.com, Sara without an H.
Suzy: Thanks Sara for coming on Cookery by the Book podcast. Sara: Thank you so much for talking with me.